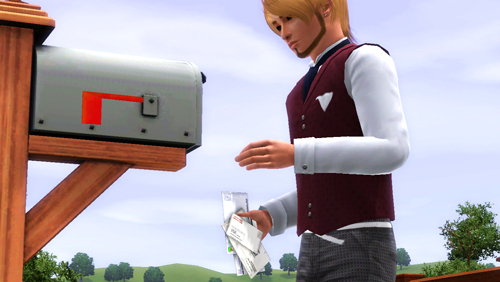 During most weekdays, when Kiiro and Haagen are at school, and Saku goes to work, Chenkov spends most of his time reading and printing his own postcards. He has been keeping in touch with his friends from abroad at a regular basis even though he can't be there in person. And when the mail arrives, he got lots to hear from his associates, mostly describing events or festivals they have been to at different places around the world. Some even just exchange Hellos and update a thing or two about their life. Just when he was about to get back in, someone appeared at the front step and muffled a hesitant hello. "Hello," Chenkov greeted back. 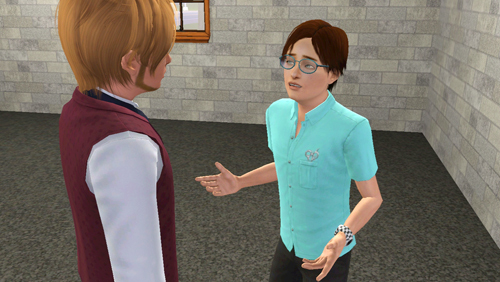 The person appeared to be a young lad, probably the same age as Kiiro. "How can I help you?" "Uhm.. Is this the Cobalt Residence?" the visitor asked. Somewhat looking lost and uncertain. "Yes, it is," Chenkov replied. "Hi, I'm Franco, Rhys Franco," he introduced himself. "Are you Mr. Chenkov? - We talked earlier over the phone... about the vacant garage?" "Oh, it's you," Chenkov smiled. "Hello, Rhys. I was wondering when you're going to show up. Was it hard to find this place?" "Sort of," the visitor admitted. "This neighborhood managed to confuse me. - Don't the houses around here have numbers?" "Not up here. In Sorbetview, they don't," Chenkov answered. "So... you wanted to have a look at the garage, right?" "Yes, please," Rhys responded eagerly. 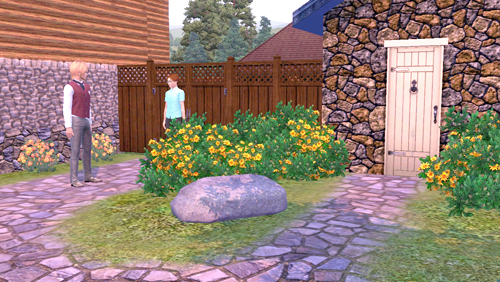 "Well, then, follow me," Chenkov got down the steps and led Rhys through the yard's gate. "We'll enter through the back door." 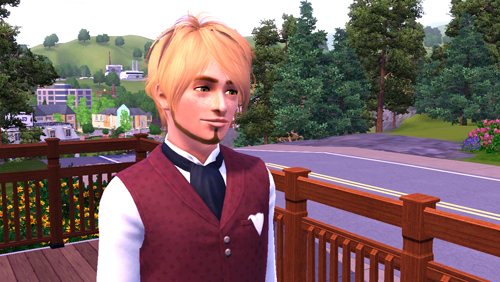 "Not a problem," Rhys followed suit. "We don't plan to have a car anytime soon," Chenkov opened the door and had the lights switched on. "So this can either be a short or long term rent, depending on the occupant." The young lad silently looked around the empty garage. Contemplating. Thinking. Chenkov just stood beside him, giving Rhys the time to consider and to come up with any questions he'd like to ask. 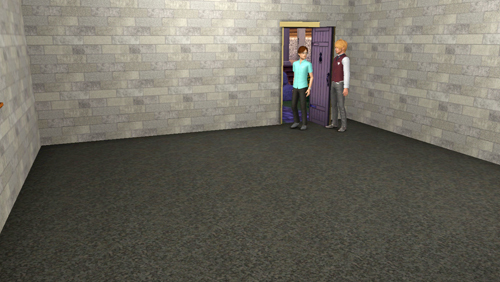 "Okay, I'll rent it," Rhys turned around and blurted. "How soon can I move in? - After I hand over the three months advance?" Chenkov was quite surprised by the sudden no-questions-asked decision. But he managed to keep a calm expression. "Might I ask what do you intend to use the garage for?" Chenkov inquired. 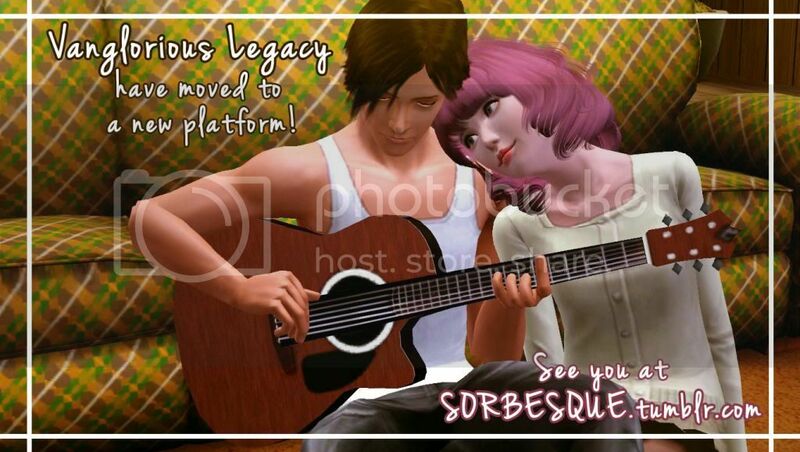 "Basically, I'll be residing as well as setting up my college projects here," Rhys replied. "Reside as in live-in?" Chenkov asked to make sure. 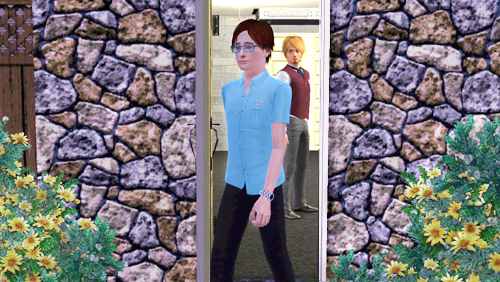 Rhys nodded and Chenkov got a little too curious. "Lad, if you don't mind me asking, where do you come from? Do you have any family around here?" 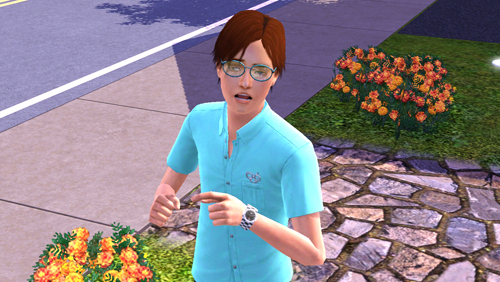 "I'm doing my final year in Landgraab Science Faculty here and... uhm," Rhys got a little fidgety but he explained anyway. "The foster parents I'm with were not okay with me waking them up in the middle of the night, cause the tools I'm using are making too much noise. I mean... I'm making so much noise." 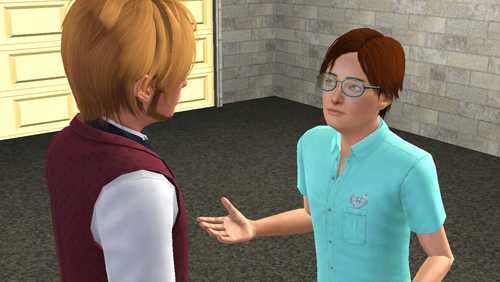 "And with classes going on throughout the day," Rhys continued. "I only have time at night to resume my work in order to finish up on time, and it looks like this garage is more sound proof. 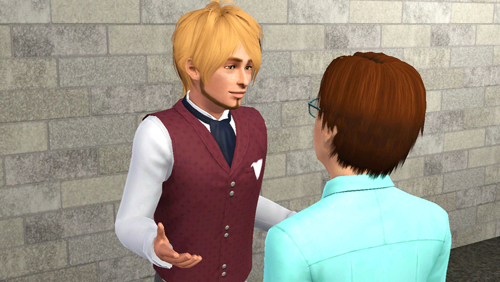 Plus it's detached from the house, so I thought - "
" - that maybe you can let me use your garage just till I've completed my projects," Rhys didn't stop elaborating his reasons. Chenkov heard quite enough but he didn't interrupt Rhys, and let him go on as he observed the lad's eager, yet somewhat in dire expression, the way Rhys talks and the way his hands gestured lively. He also noticed a Rolex on the lad's wrist. Chenkov has an eye for time pieces. Especially for the rare and badass categories. So he noticed in one glance that it was not just any Rolex. It was the Submariner. A sign of wealthy background? "Look, Rhys," Chenkov finally broke the stampede of words. "Sounds to me like you're leaving your foster family. Are they okay with that? Will the school be okay with you getting out of the program? - I mean, if this gets you in trouble, it might not be a wise decision even though you need to catch up on deadlines." "No, no, no, don't worry, Mr. Chenkov," Rhys quickly rectified. "I'm already out of the program sometime ago, that's all settled. It's just that I haven't been able to find a space perfect for me to carry on my delayed projects. I wouldn't want to keep getting complaints that I'm driving people nuts with deafening sounds." "Well, then, you can do whatever you want here," Chenkov finally said. "Just on one condition though..."
"Anything, Mr. Chenkov," Rhys eyes beamed. It reminded Chenkov of the look in Haagen's eyes when the little boy wanted to rent the garage. "Don't skip dinner," Chenkov told him. It sounded more like an order rather than an invitation. "We have a very strict cook. She'll be very furious if you don't show up." Rhys jaw dropped. He wasn't expecting that. In fact, he didn't know how to react to it. It's not something a landlord would offer to a tenant. Or do they these days? Rhys thought. He wasn't sure. "Do we have a deal?" Chenkov broke the silence. "Oh, uhm, yeah!" Rhys quickly composed himself. "I'll come by tomorrow to settle the advance and all." "Glad doing business with you, Rhys," Chenkov shook the lad's hand. After some brief confirmation about what time he's coming over, Rhys walked out of the garage with a relieved look on his face. His hunt has finally come to an end. 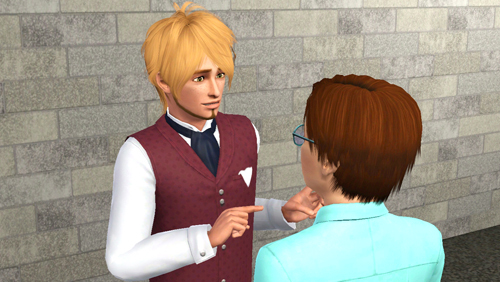 Chenkov watched Rhys left, and mostly having monologues as to how glad he is to be able to help out a college student in dire situation. And he hoped that Saku will be okay with him not discussing with her first before agreeing. Besides, she was just worried about suspicious characters. And Rhys Franco is definitely not one. Chenkov was certain of that.